Luxury Italian brand perfectly suited to Australian conditions. - Fore and aft sunpads. 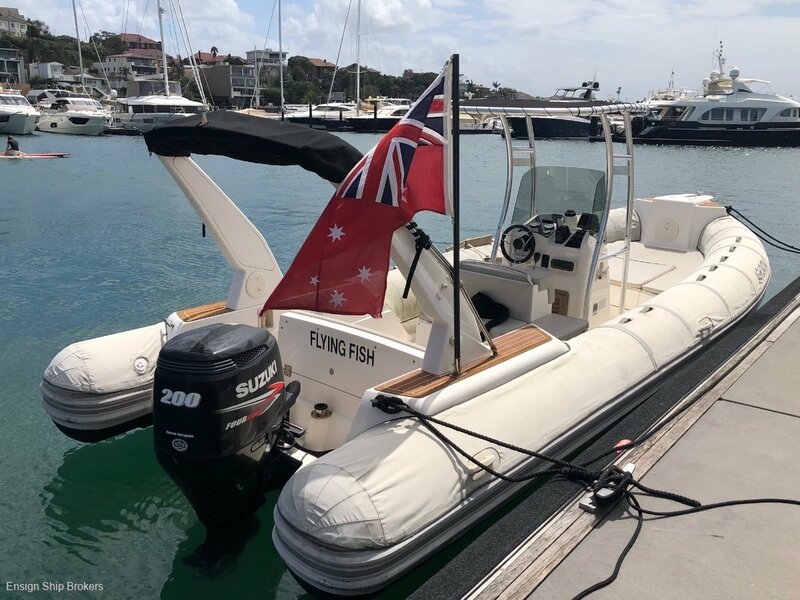 This Australian delivered 7.7m gives you the stability and safety of a bigger boat but she is lightweight and fuel economical. The Suzuki 200 hp four stroke outboard delivers whisper quiet performance and the boat benefits from a secure lazarette large enough to store all sunpads and accessories. A perfect low maintenance harbour boat, suited to shallow water and designed to handle offshore conditions. Whether you're chasing the fleet as they leave for Hobart or want something you can drive right up on the sand. The Capelli 770 will impress you every time you take her out. Call Ensign Sydney for more information.